The Committee met with the Department of Environmental Affairs for a briefing on the ratification of the Minamata Convention. The Department of Rural Development and Land Reform also gave a briefing on the Electronic Deeds Registration Systems Bill. The Department of Environmental Affairs requested Parliament to approve South Africa’s proposed ratification of the Minamata Convention on Mercury. The Convention entered into force on 16 August 2017, and aims to reduce mercury anthropogenic emissions and releases. South Africa (SA) signed the Convention in October 2013, and intended to ratify it. Members pointed out that SA is indeed affected by any negative impacts on the environment, and should partake in finding solutions as part of the global community. The ratification of the Minamata Convention would have both social and economic spinoffs. They asked if the Department had any knowledge about the extent of the financial assistance which SA would receive upon ratification of the Convention. How would it work and what were the modalities? Would the Department spearhead the plan to reduce use of mercury-products? Was there a drive to that effect already? They felt the ratification should be supported to ensure a healthy citizenry. Stakeholders and the public needed to be engaged further to create awareness across the board. The Committee having considered the request for approval by Parliament for the ratification of the Minamata Convention on mercury referred to it on 26 November 2018 unanimously recommended that the Council approve the said Convention. Clause 2 provides for the development, establishment and maintenance of the e-DRS. It provides for the Chief Registrar of Deeds (CRD) to develop, establish and maintain the e-DRS using information and communications technologies for the preparation, lodgement, execution, registration and storing of deeds. It also provides for the CRD to prescribe functional requirements and technical specifications for the e-DRS. Clause 3 provides for the validity of deeds. It provides that a deed generated, registered and executed electronically is deemed to be the original and valid record. Clause 4 provides for the authorisation of users of the e-DRS in so far as such users must be registered in the manner as may be prescribed by regulation. the manner of identification of persons who may prepare, execute, lodge, register deeds in a deeds registry. Members commended the piece of legislation. They wanted to know if the mooted system was going to be protected from risk factors such as those involving cybercrimes, fraud and typographical errors. How was the Department going to ensure that illegal documentation is not generated by the system and its integrity is maintained? There had to be stopgap measures to ensure that what is happening at the Department of Home Affairs is not replicated in other departments. Stakeholder consultations should be broad and all-inclusive as this was one sensitive issue. The entire security cluster had to be consulted. The Chairperson indicated the Committee would exhaust all consultative processes and then advise the Department accordingly in due course. The Chairperson welcomed everyone to the first meeting of the Committee in 2019. He invited a presentation from the Department of Environmental Affairs. Mr Obed Baloyi, Chief Director: Chemicals and Waste Management, DEA, took the Committee through a presentation on the Minamata Convention. The purpose of the briefing was to request Parliament to approve South Africa’s proposed ratification of the Minamata Convention on Mercury. Mercury is a naturally occurring heavy metal which can cause toxic effects on humans and the environment. It is released through natural processes like volcanic and geothermal activities, or through human processes. Man‐made mercury emissions primarily come from gold mining using mercury and combustion of coal, especially coal‐fired power stations. Human activities continue to increase the mercury in the air, oceans, fresh water and soil, creating a global threat to human and environmental health. Mercury can travel globally through oceans and the atmosphere, and cycles through these processes for years, or even decades. It accumulates in ecosystems and food chains, particularly fish, and is passed on to larger animals and humans who eat those foods. Health effects include significant damage to the nervous (IQ), immune and digestive systems; lungs and kidneys. Chronic or acute exposure can cause neurological and behavioural disorders, and can be fatal. Through the Global Environment Facility’s financial mechanism for developing countries to implement obligations, the Convention provides for the provision of technical assistance to developing countries. SA will be eligible for technical assistance, capacity building, and technology transfer as a developing country. By 2020, import, export and manufacture of listed mercury added products will stop to decrease mercury in the waste‐stream and to prevent dumping when other countries phase such products out. As it stood, all private healthcare hospitals and private clinics, and some public ones, have voluntarily started implementing the Minamata Convention by proactively replacing mercury based thermometers with electronic mercury free ones. Internationally, the ratification would complement SA’s obligations under the Montreal Protocol, the Basel; the Rotterdam and the Stockholm Conventions. Domestically, the Convention will complement the Air Quality Act; the Waste Act; and the National Environmental Management Act. It will also strengthen the capacity to manage mercury. Article 33 sets out withdrawal from the Convention. Any Party may withdraw by giving written notification to the Secretary‐General, at any time after three years after the Convention entered into force for them. Withdrawal takes effect either one year from the date of that notification, or any later date specified. Should SA wish to withdraw, it may use this article to withdraw. Mercury levels in SA fish are beyond recommended levels and were increasing yearly. Therefore, ratification and subsequent reduction measures on mercury emissions and releases would reverse this dangerous trend. Such would protect people consuming the fish and SA’s fish export market. The ratification also presents an opportunity to address legacy issues and improve the health of the citizenry. Notably, populations mostly affected by mercury and thus expected to have compromised IQs due to mercury exposure, are previously disadvantaged South Africans staying around coal-fired power plants, cement kilns, smelters, waste incinerators, contaminated sites, and those involved in artisanal and small-scale gold mining. As South Africa could not afford to significantly reduce emissions on its own, there was a need to develop an Implementation Plan (NIP) to reduce emissions and releases. An indicative amount of R12, 6 billion will be needed to retrofit only the coal-fired power plants to reduce mercury emissions by 98%. DEA proposes that the sector takes mercury concerns into consideration when retrofitting to reduce emission to meet set air quality standards. Such would reduce costs and avoid having to retrofit twice; abatement techniques for emission reduction are not specific for mercury reduction. The Convention requires countries to phase out import, export and manufacture of certain non-essential mercury products by 2020. These products (listed products) include certain forms of batteries, lamps and measuring devices. However, SA does not manufacture any of the Listed Products, and has started phasing most of their use already. The Listed Products are largely older technology, and are being internationally phased out in favour of lower‐ or mercury‐free alternatives. Any exemptions to postpone phase‐out dates in the Convention will be recorded in SA’s ratification documents. There is also a very low risk of binding guidance being developed by the COP requiring higher environmental emissions controls for new facilities in an agreed list of facilities. The first COP will decide on Best Available Techniques (BAT) and Best Environmental Practices (BEP) guidelines, but it is considered very unlikely to exceed SA’s existing environmental requirements. Mr Baloyi recommended that the Committee approve South Africa’s proposed ratification of the Minamata Convention on Mercury. The Chairperson appreciated the presentation and pointed out that SA is indeed affected by any negative impacts on the environment, and should partake in finding solutions as part of the global community. He added the ratification would have both social and economic spinoffs. Ms C Labuschagne (DA, Western Cape) asked if the Department had any knowledge about the extent of the financial assistance which SA would receive upon ratification of the Convention. How would it work and what were the modalities? Would the Department spearhead the plan to reduce use of mercury-products? Was there a drive to that effect already? She felt the ratification should be supported to ensure a healthy citizenry. Ms E Prins (ANC, Western Cape) sought clarity about the implementation of the Convention. Would there be set out targets and penalties for non-compliance? Ms Z Ncita (ANC, Eastern Cape) said ratification of the convention should be supported. She noted that some hospitals had started adopting mercury-free instruments, especially the private-run ones. What was the plan to ensure public hospitals also align themselves to the same? The implications of using mercury products should be taken seriously. Mr J Parkies (ANC, Free State) asked whether the general public had a clear understanding of the implications of ratifying the Convention as well as the negative consequences associated with using mercury. Mr Baloyi, in response, said the Department was in the process of developing an implementation plan for the Convention. This plan would set targets and also determine penalties for non-compliance. DEA was in collaboration with other departments and stakeholders in developing the said implementation plan. Mr Mark Gordon, DDG: Chemicals and Waste Management, DEA, said SA has been playing quite a formidable role in international diplomacy and in as far as ratification of conventions was concerned. More than 100 countries had ratified the Minamata Convention so far. The implementation plan would be developed over a four year period and DEA was working closely with stakeholders such as the National Treasury on the technologies and methodologies to reduce emissions. Viability in the setting of the targets would be very important to ensure SA does not shoot itself in the foot. DEA had already started taking action together with enforcement units to ensure compliance and dealing with the smuggling of mercury products through the borders. A programme that would allow flexibility in implementing the targets from 2020 and beyond would be guaranteed. Ms Noluzuko Gwayi, Director, International Chemicals and Waste Cooperation, DEA, added that the four year period for developing an implementation plan was not cast in stone. However, the Department had already started developing it. As it stood, some sectors had already started phasing out mercury products, foremost being the healthcare sector. Mercury management in the country was work in progress, and was being prioritised mindful of the negative consequences especially on health and wellbeing. On annual contributions versus financial benefits, these take effect upon ratification of the Convention and would be decided upon submission of the national implementation plan. Public knowledge is crucial and DEA was committed to spearheading public awareness to educate communities about the dangers of using products which contain mercury. The Chairperson said stakeholders and the public needed to be engaged further to create awareness across the board. The Committee, having considered the request for approval by Parliament for the ratification of the Minamata Convention on mercury referred to it on 26 November 2018 recommended that the Council approve the said Convention. He put the report up for adoption by the Committee. Members unanimously agreed to the adoption of the report. Ms Carlize Knoesen, Chief Registrar of Deeds, DRDLR, explained that the EDRS Bill sought to provide legislation that is required for the development of an electronic deeds registration system (e-DRS). The e-DRS will provide, amongst other things, for the registration of large volumes of deeds effectively; improved turn-around times for providing registered deeds and documents to clients; country wide access to deeds registration services; enhanced accuracy of examination and registration; and security features including confidentiality, non-repudiation, integrity and availability. The main objectives of the EDRS Bill were to: facilitate the development of an electronic deeds registration system in order to promote the registration of large volumes of deeds as necessitated by government’s land reform initiatives; and expedite the registration of deeds by decreasing the time required for the deeds registration process. "Signature" in respect of any act performed in terms of the DRA and STA by a conveyancer, statutory officer or registrar in attesting his or her signature to a deed or document or a scanned image of a deed or document, means an advanced electronic signature as defined in section 1 of the Electronic Communications and Transactions Act. Clause 6 provides that the Registrar must continue with the registration, execution and filing of deeds as prescribed by the DRA / STA until the e-DRS is in place. It furthermore provides for a dual system of registration in so far the CRD may issue directives for the continuation of the preparation, lodgement and registration of deeds manually, as prescribed by the DRA /STA, whereupon a conveyancer may either use the manual system or the e-DRS, until such period as may be determined by the CRD. Clause 7 (1) provides for the EDRS Bill to come into operation on a date to be fixed by the President by proclamation in the Gazette. Clause 7(2) provides for the President to set different dates for the coming into operation of the different provisions of the Act. Clause 7(3) provides for the President to set different dates for the coming into operation of any or certain of the provisions of this Act for the different deeds registries. On the Bill’s socio-economic impact assessment, the Department of Planning, Monitoring and Evaluation (DPME) granted permission to proceed with submission of the EDRS Bill to cabinet on 8 September 2016. The options that were proposed for consideration were: (a) Introduction of an e-DRS; (b) Do nothing; or (c) Introduction of a hybrid electronic-manual deeds system. Based on the findings of the SEIAS, the DRDLR supports Option (a) in order to provide for a deeds registration system to be able to handle the registration of large volumes of deeds as required by the Government’s land reform initiatives. Ms Prins commended the piece of legislation. She wanted to know if the mooted system was going to be protected from risk factors such as those involving cybercrimes, fraud and typographical errors. How were people’s rights going to be robustly protected? Mr Parkies said the Bill’s supreme objective should be the protection of human rights, not just reducing the Department’s workload. Cases of abuse of the deeds system were rampant and the accounts sordid. How will the e-DRS system be secured in the context of cybercrimes? How was government ensuring that rates being charges by conveyancers were reasonable and not exploitative? How was this sector being transformed to ensure meaningful participation of all races? Mr C Smit (DA, Limpopo) said cyber-security was paramount hence protection and backup systems would be crucial. How was the e-DRS system going to be protected from abuse? Ms Ncitha asked how the Department was going to ensure that illegal documentation is not generated by the system and its integrity is maintained. There had to be stopgap measures to ensure that what is happening at the Department of Home Affairs is not replicated in other departments. Mr E Mlambo (ANC, Gauteng) said stakeholder consultations should be broad and all-inclusive as this was one sensitive issue. The entire security cluster had to be consulted. 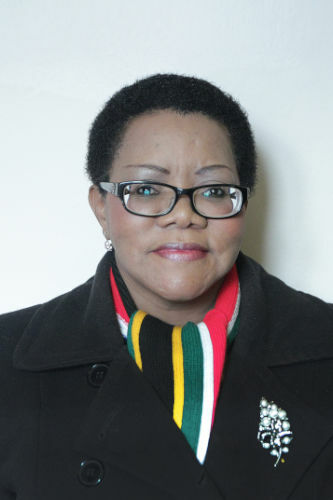 The Chairperson said the issue of land ownership is very emotive and historical. He emphasised the need for maximum security on the mooted system to ensure people’s properties are protected from unscrupulous elements. Ms Antoinette Reynolds, Deputy Registrar of Deeds, DRDLR, replied that the Department had already held meetings with other departments and experts to determine cyber-security benchmarks and standards that needed to be met to guarantee maximum security. The Department would not risk rolling out an insecure system. The Department has no control over fees charged by conveyancers. However, the soon to be gazetted legal practice regulations would ensure all conveyancers do a fair share of pro bono work. Ms Tshepo Mahlaela, Legislation Specialist, DRDLR, further allayed Members’ fears and gave assurances that e-DRS would be robust and secure. Cases of fraudulent practises were being dealt with on a daily basis and the Department hoped to reduce these through migration to an electronic system together with additional security measures that had been recommended. A transitional mechanism would ensure that rollout of e-DRS is done incrementally, and a technical team was working on it already. More so, the new electronic system would see turnaround times being reduced from 17 days to four. The Chairperson appreciated the engagements and indicated the Committee would exhaust all consultative processes and then advise the Department accordingly in due course.